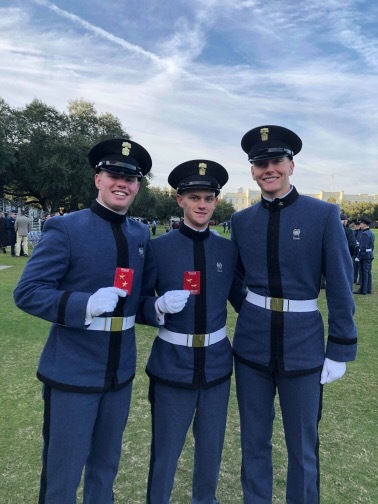 Class of 2018 graduates Garett Summers, Jackson Ford, and Ryan Hooks received gold stars last week for academic excellence at The Citadel. Thank you to Laurie Ford for sharing this moment! According to The Citadel website, the Dean’s List is a recognition given to those students registered for 12 or more semester hours whose grade-point average is 3.200 or higher. The Gold Stars that these three graduates received are awarded to those students on the Dean’s List who have made a grade-point average of 3.700 or higher for work in a semester. We are incredibly proud to have Ben Lippen represented so well at one of the most prestigious institutions in the state. Congratulations, alumni!